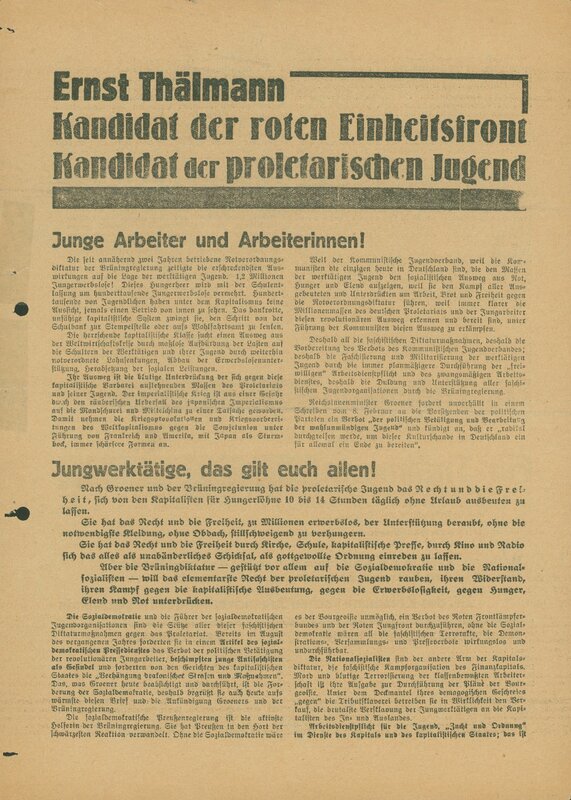 Election leaflet supporting Ernst Thälmann (KPD) for the 1932 Reichspresident election. It calls out to the young worker to support the KPD, which they promise can provide work, bread, and freedom. It suggests that they join the battle by joining the ranks of the communist youth association.